It's weird how people have two eyes. The only thing I heard all day was "Are you listening?" “May contain traces of seafood” Whaaat? How could you not know if you put fish in it? Every time I have seen a fish – living or dead – it has freaked me out. That’s not something I would forget seeing in the kitchen. I have always maintained that “guess what” is not a question, it’s a command. 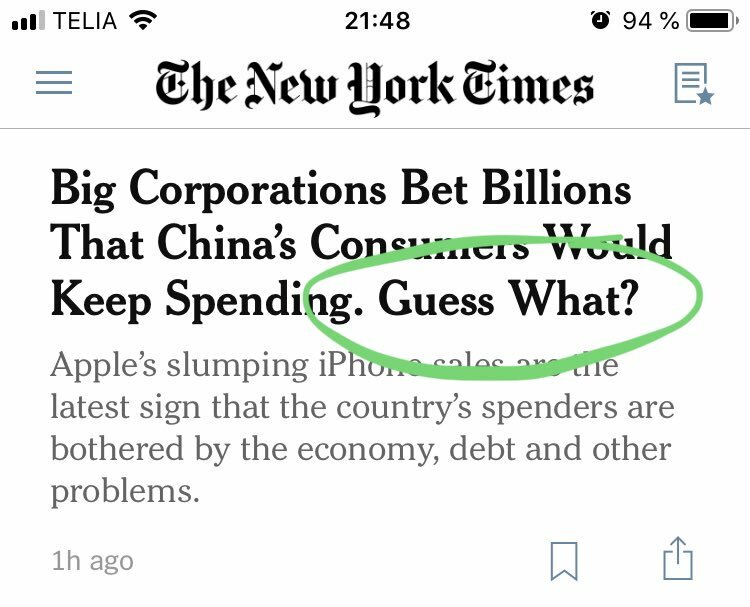 Have I been wrong in correcting people or is the New York Times wrong with this headline? I have believed the phrase to be a short form of “guess what happened” or “guess what it is,” neither are questions. It's finally Friday, I'm free again. I got my motor running for a wild weekend. It's finally Friday, I'm out of control. Forget the workin' blues and let the good times roll. You know those people who wear a big top hat that has biplane goggles on it – what’s that all about? Where can I get these chill pills everyone keeps recommending I take? I have read lots of books and articles about Apple and Steve Jobs. I don’t recall any of the main characters ever using these words: value proposition, agile, ideate, customer journey, external validation, disruption, entrepreneur, deliverables, human capital.